I’m baaaaack! I took a little break over the past month and a half because I’ve been extremely busy with the end of the semester. Now I’m back, tests are taken, papers are in and summer has officially started. I recently purchased this jumpsuit and am in love. 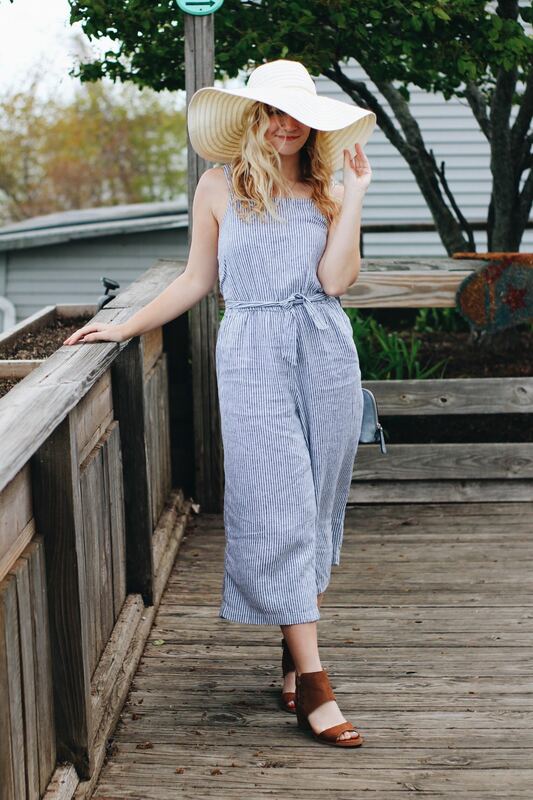 I live in sundresses during the summer, but long jumpsuits are normally not my thing. However, the blue and white color combo is definitely my thing and this jumpsuit is the perfect way to ease into the trend. COMFORT – It’s like a dress but with pants! I am dresses’ number 1 fan but it can be annoying when you have to worry about wind blowing your dress up or whether you can sit or lay down. 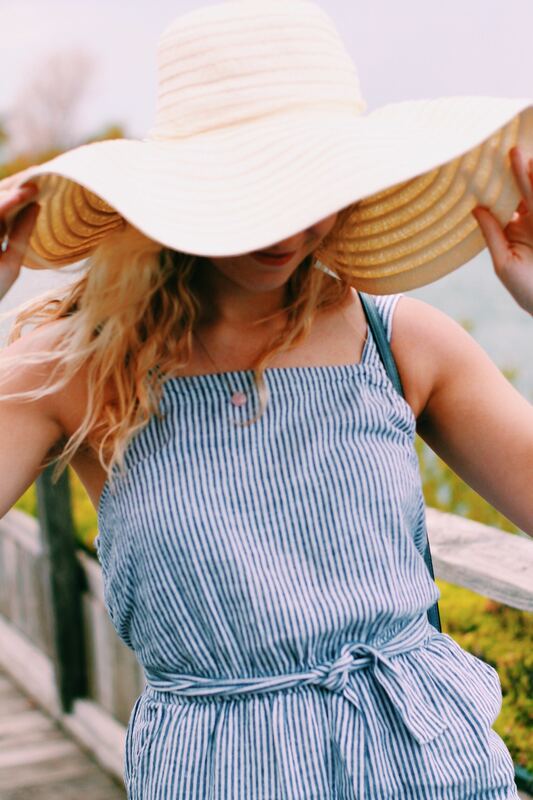 Since jumpsuits are all one piece, they are extremely comfy and you never have to worry about either of those things. Not to mention this one is super loose and soft, so bonus points. INSTANT OUTFIT – Sometimes you can put together an outfit full of different casual pieces with expert layering and it happens in five minutes. Most of the time, you can be staring at your closet forever finding absolutely nothing that looks right. 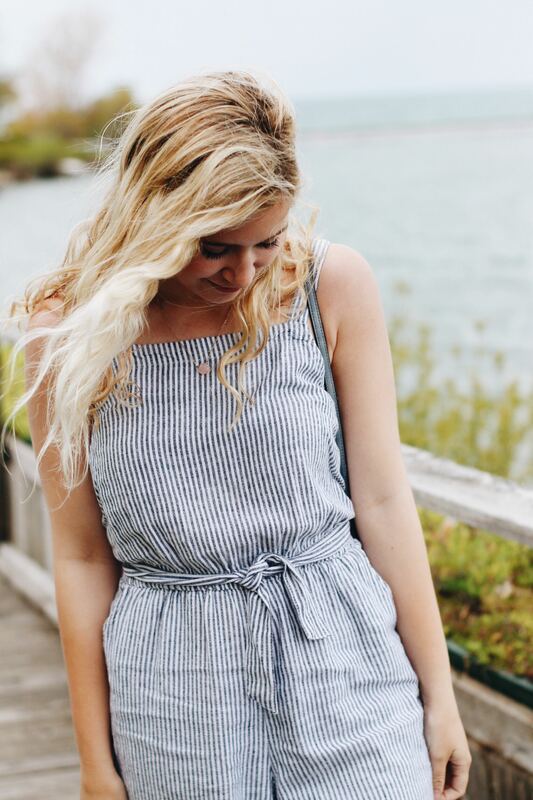 Jumpsuits are an instant statement outfit, guaranteed to look cute every time. Just dress up with heels, dress down with sandals, accessorize with different jackets or scarves and change the look each time. It will always look like you put way more effort into your outfit than you actually did. 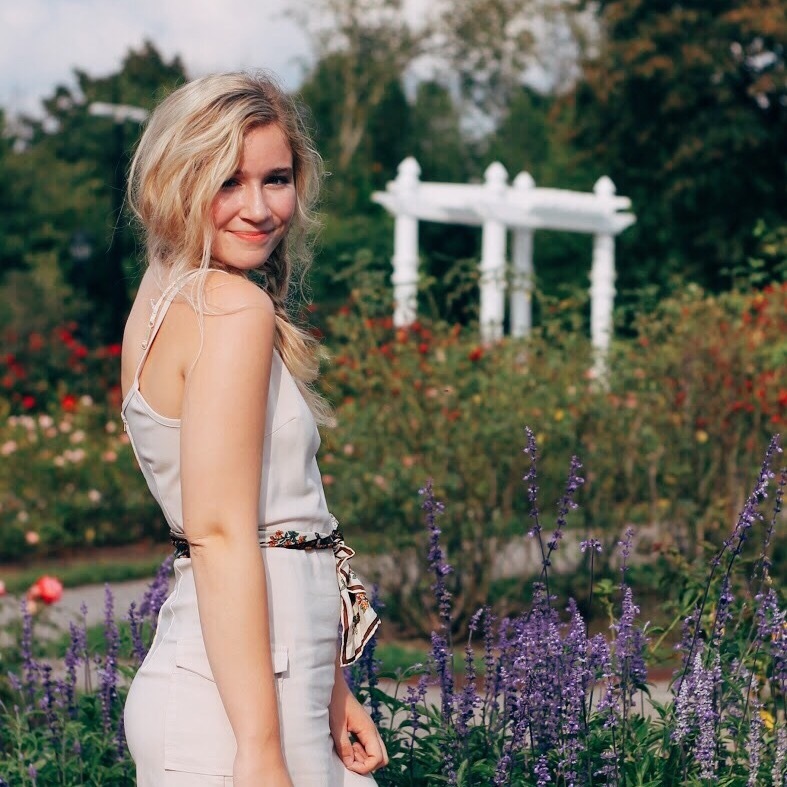 FLATTERING – Many people think jumpsuits are unflattering but I disagree! They definitely seem a bit harder to pull off, but as long as you find the right one for your body type you should be golden. This one has a wider pant leg, which I would normally stay away from, but since the waist is defined and I paired it with a taller heel I changed the shape to be more flattering. Little things like that can turn any trend from being unwearable to gorgeous.